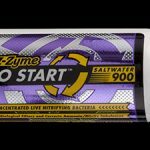 Aquatic Life has just announced its newest product – the Twist-In (TI) RO/DI System. 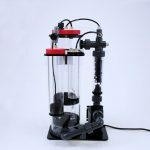 It comes in three-stage and four-stage units, and features twist-in cartridges with pivoting heads for fast and easy replacement of filter media. “We took a step back and looked at what makes using RO and RO/DI units difficult. What we found was that changing the cartridges was often the most difficult part of the system,” said David Troop, Aquatic Life co-owner. 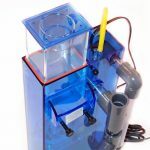 “So, we developed a solution – an easy-to-use TI Filtration System which allows us to provide hobbyists convenience without sacrificing water quality. The new systems use cartridges that simply twist into the head of the filtration unit. When you untwist and remove a cartridge, it automatically shuts off the water so virtually no water spills.” Filtering 100 gallons per day, the new TI Filtration Systems undergo a multi-stage process to perform specific functions necessary for growing plants and keeping fish. 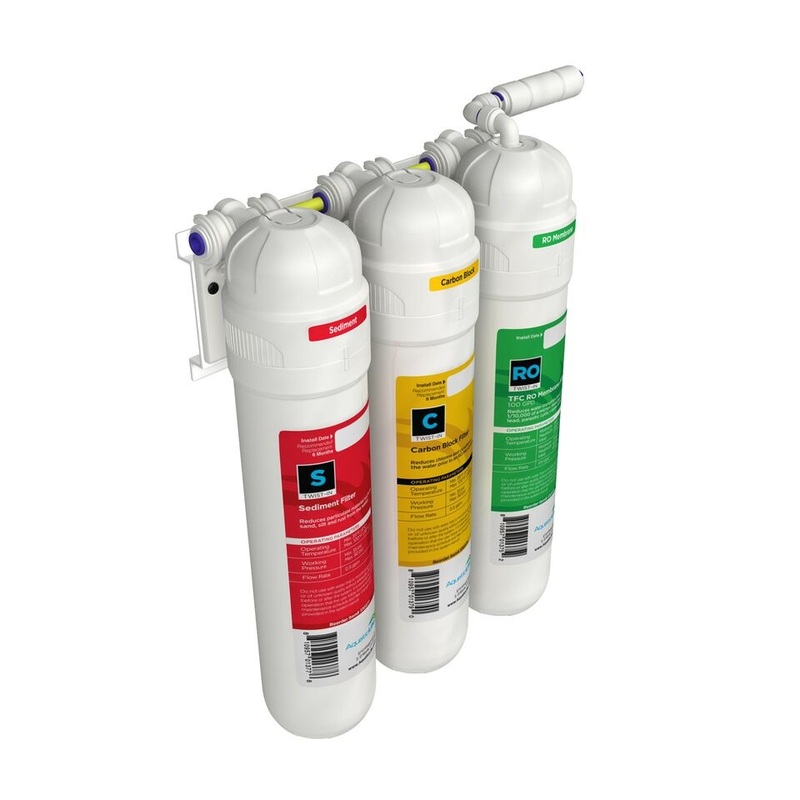 Using carbon and sediment cartridges with a central membrane, the TI 3-Stage RO System removes harmful substances such as heavy metal ions and total dissolved solids from tap water. 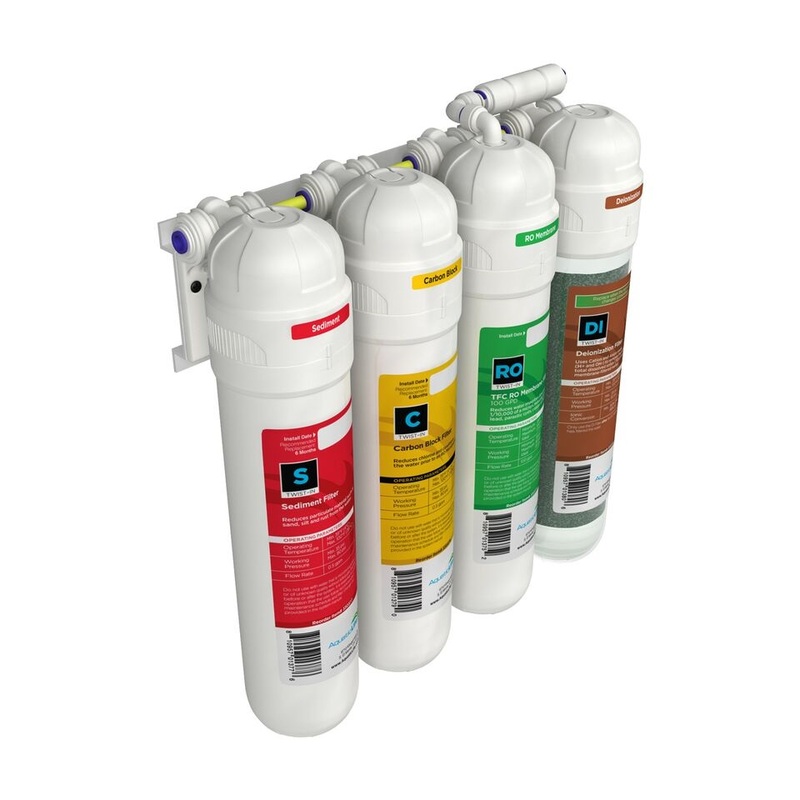 The TI 4-Stage RO/DI System takes water purification one step further, utilizing a fourth cartridge filled with a high quality mix bed color changing resin. As the filtered resin absorbs the impurities, it changes colors to notify users when to replace the resin media. 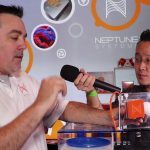 “We are thrilled to be the first company to offer this type of filtration in the aquarium market,” adds Troop. The TI Filtration Systems connect to the water supply line of a standard sink and include a bracket to tap into the sink drain piping. The compact design and easy connection allows it to fit under the sink or in limited spaces with few unsightly lines. Quick connections combined with the front location of the cartridges make for easy removal, disposal and installation. 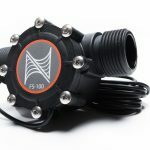 For more information about Aquatic Life and its product offerings, visit www.aquaticlife.com. Is It Possible to Overdo Marine Aquarium Water Changes? Albatross Fishes with Light… Yup, it’s True!